The hit story telling podcast is live! Join the velvety voiced Glynn Washington and the rest of the team from WNYC's richly layered podcast Snap Judgment for a night of outstanding storytelling crafted with meticulous beats that put you truly at the center of the action. 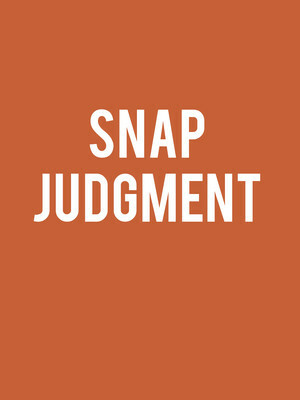 Snap Judgment is unlike other podcasts, it dives deep into its subjects and its narrators, bringing you an almost cinematic level of drama as you learn about things as diverse as doomsday cults to negociating with modern pirates. If you're a fan of experiencing things through another's eyes, being transported through time and space, this is the show for you. Seen Snap Judgment? Loved it? Hated it? Sound good to you? 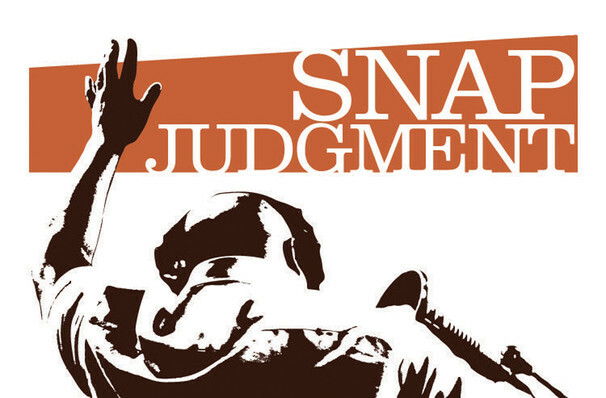 Share this page on social media and let your friends know about Snap Judgment at Vic Theater. Please note: The term Vic Theater and/or Snap Judgment as well as all associated graphics, logos, and/or other trademarks, tradenames or copyrights are the property of the Vic Theater and/or Snap Judgment and are used herein for factual descriptive purposes only. We are in no way associated with or authorized by the Vic Theater and/or Snap Judgment and neither that entity nor any of its affiliates have licensed or endorsed us to sell tickets, goods and or services in conjunction with their events.